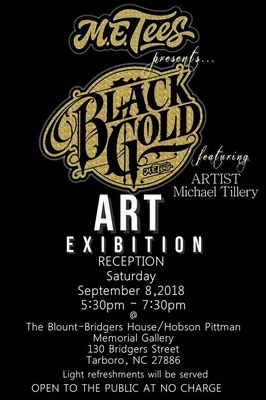 Come explore the creativity of a former Tarboro Vikings Champ leading up to and as part of Tarboro's Hometown Homecoming event. Works by Edgecombe County Public School students are also featured with a reception on Thursday, October 18. Exhibit open on Tuesdays through Fridays and for Tarboro Hometown Homecoming on October 20 and 21.